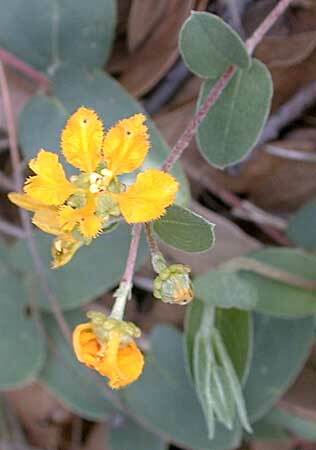 Notes: The flowers are found in small clusters on the tips of the trailing stems. There are also flowers that never open (fertilizing themselves) in the lower leaf axils. 1 species of Aspicarpa in Arizona.